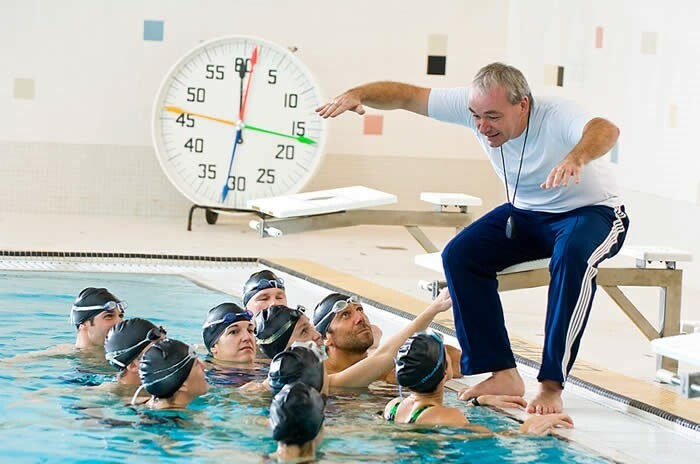 The Aquatics program offers a variety of programming for swimmers of all ages and skills. 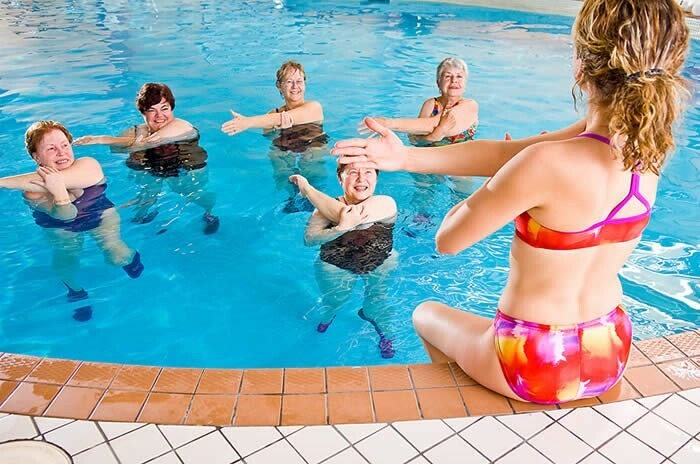 From Parent Play swim classes for children as young as one to Aqua Exercise and Lap Swimming for adults of all ages. Additional offerings include aquatic instruction in kayaking, lifeguard certification, swim team and swim club. The outdoor community leisure pool is located behind Orange High School. This pool provides over 4,000 square feet of water area with a zero depth entrance and in-water benches. The pool also features three major water play features including a water pipes attraction with overhead sprays, waterfall, and interactive features; a turtle slide in the zero depth area; and a large water slide with an almost 150 foot twisting ride into the pool. Other leisure-style and family friendly amenities of the pool include a large deck and lawn area, shade structure, pool guard office, concession stand and a picnic pavilion! The picnic area offers a shaded eating and meeting place for up to 64 people! Complete with concrete base, picnic tables, a metal roof and cupola, the pavilion will add to any poolside event. 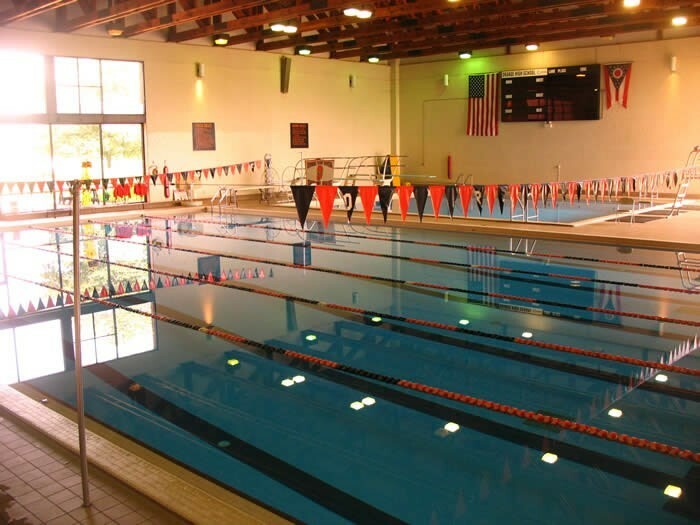 The Orange High School indoor pool, operated by Orange Community Education & Recreation, features a 25 yd, 6 lane, competition pool that is 4-6 ft. deep, with a separate diving well with two 1-meter diving boards. This pool is operated year round with a brief shutdown scheduled each year during August. On occasion, we must close our pool due to inclement weather. This would include air temperatures below 65 degrees when water temperatures are below 80 degrees, persistent rain, lightning, tornado warnings, etc. The Orange School Campus has a lightening detection system in place. When this system sounds and indicates lightning in the area,, the pool and the pool area (including the picnic pavilion) must be cleared of patrons. We shelter patrons inside the high school multi-use lobby until the all-clear lightning warning is sounded. 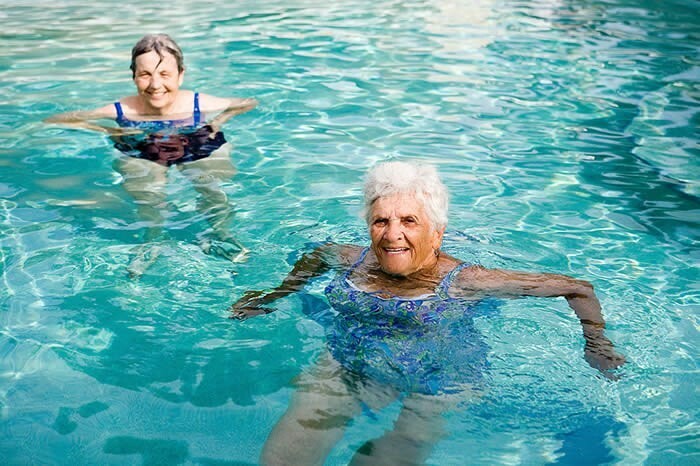 Please call the pool directly at (216) 831-8601 x 2203 to inquire when the weather is uncertain. IMPORTANT: During school hours when school is in session, all visitors to the indoor pool MUST enter the high school at the main front doors only and check in with school staff prior to proceeding to the pool. For either facility, please park in the Orange High School West End visitor parking area. Please do not park in numbered spots during the school year as they are reserved for faculty and staff.